It turns out that half of all homes in Japan are demolished within 38 years — compared to 100 years in the U.S. There is virtually no market for pre-owned homes in Japan, and 60 percent of all homes were built after 1980. In [professor Jiro] Yoshida’s estimation, while land continues to hold value, physical homes become worthless within 30 years. Other studies have shown this to happen in as little as 15 years. TOWNSEND: The houses that are built today exceed the quality of just about any other country in the world, at least for timber buildings. So there’s really no reason that they should drop in value and be demolished. The frequent severity of earthquakes has taught its people not to take buildings for granted. 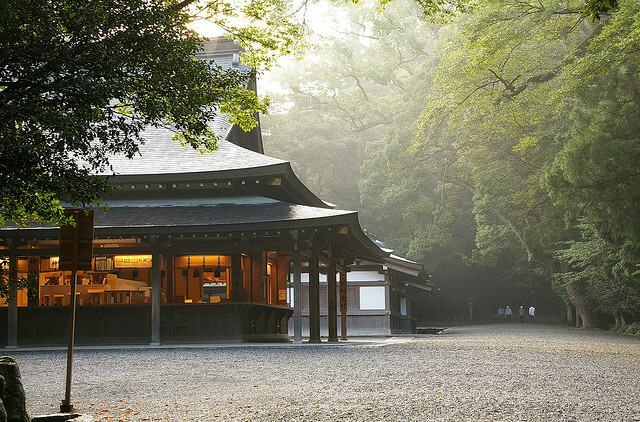 And impermanence is an enshrined cultural and religious value (nowhere more so than at Ise’s Grand Shinto Shrine, which is rebuilt every 20 years). These oft-repeated truisms nonetheless fail to offer a sufficient economic rationale for Japan’s ingrained real estate depreciation. Its disposable attitude to housing seems to fly in the face of Western financial sense. In the country’s rush to industrialize and rebuild cities decimated after WWII, housebuilders rapidly spawned many cheap, low quality wooden frame houses – shoddily built without insulation or proper seismic reinforcement. Older homes from this period are assumed to be substandard, or even toxic, and investing in their maintenance or improvement is considered futile. So, rather than maintain or upgrade them, most are simply torn down. Listen to a podcast on the topic here.